Contrary to what many people believe, fat is not the enemy. 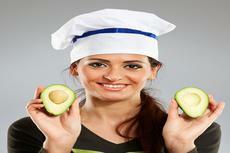 Adding healthy fats to your diet has shown to have numerous health benefits. Many foods high in fat such as fatty fish and chia seeds contain omega-3 fatty acids, which are good for your heart and brain function. Other high fat foods on this list contain nutrients such as protein, zinc, potassium, magnesium and iron. Michelle Roots, resident fitness expert and trainer for Trainerize says “incorporating healthy fats in your diet not only helps your body burn more fat, but will also aid in weight loss because dietary fats will help you feel full for longer.” She also explains that it will help you reduce your overall daily calorie intake and keep your energy levels high. However, you have to take caution. It’s important to watch the serving sizes of good fats in your meals to ensure you aren’t over-doing it, Roots says. “Fatty foods tend to be very tasty and occasionally “one eyeballed tablespoon" of almond butter can actually turn out to be 3 servings,” she adds.